Roofs, like everything in the universe, have an expiration date, and it’s up to you to make sure your home has the right protection. A proper home requires a proper roof to protect it from the harsh realities of the outside world. Every roof, no matter where you live, takes a pummeling from Mother Nature and requires updating and replacing every few decades or so. Roofs were created with the climate in mind, so whether you live in a sunny, rainy, windy, snowy environment (or all four), you need to know the signs of when it’s time to replace your roof. Your typical roof’s lifespan is no more than 30 years with the average roof lasting 25 years. If you know that your roof’s 25th birthday is coming up, it may be time to start looking into new roofs and placing your decommissioning your current roof. Shingles twist primarily in two ways. You have your clawing shingles (when the edges stick to the roof, but the middle begins to bulge and form a concave shape), and you have your curling shingles (where the edges of the shingles curl upwards and start to peel away from the roof). Individual shingles falling off your roof are no problem as you can easily replace these. 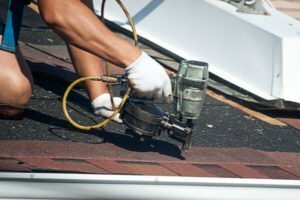 The only issue may be finding the exact shade and texture of your old roof. A few of these shingles may not look bad, but a few of them will make your roof look like a checkerboard. At this point, many people opt for just replacing the entire thing. To have the peace of mind that you deserve when it comes to your home, get in touch with your Pierce Insurance Group agent and contact us today for an all-encompassing homeowners insurance policy in McKinney, Texas.